Toyota will launch the next generation Innova named Innova Crysta in India on May 3rd 2016. First batch of vehicles have already been sent to the dealer yards. The Innova Crysta will be priced litter higher than the current model. The Innova Crysta is bigger compared to the current model. Its length x breadth x height are 4735 mm x 1830 mm x 1795 mm which means the new Crysta is longer by 150 mm, wider by 70 mm and taller by 35 mm. However the wheelbase remains same with 2750 mm. Apart from more interior space Toyota claims the bigger dimensions will improve vehicle’s crash protection. 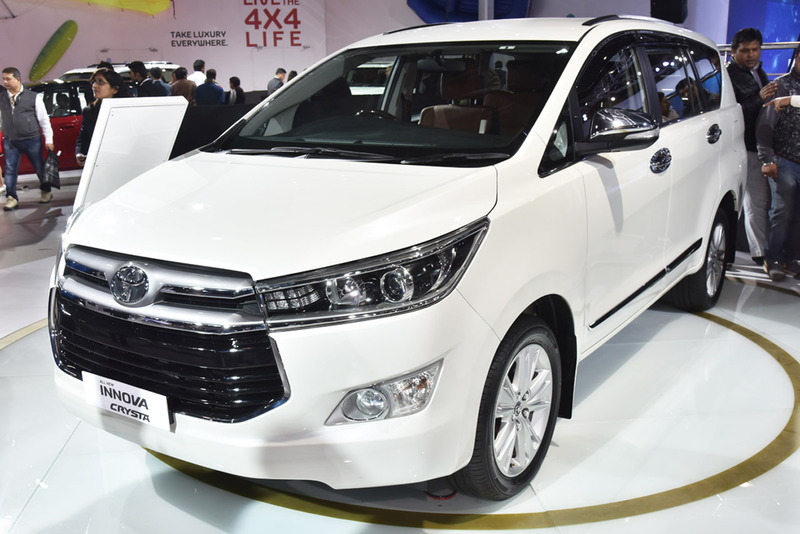 The new Innova Crysta will be powered by a 2.4L D4D engine which now pumps out 148 Bhp of power. The new Innova Crysta will feature smart entry system with start/stop button, dual airbags as standard along with ABS, EBD and BA, projector headlamps, ambient lighting, automatic climate control, 7-inch audio system with navigation, front seat with easy slide from rear, and third row seats.